Apple’s new CareKit apps are great news for consumers. If. Increasing consumerism means that patients have to feel like they are partners in their health care. Improved user experience design in technology and real-time analytics at the last mile that is invisible and improves the quality of the physician-patient interaction may hold the key to the future of healthcare. Last week, I had the opportunity to present at Predictive Analytics World in San Francisco. It’s an event that brings together advanced analytics professionals from different sectors to discuss best practices for developing and deploying predictive models. Along with my co-presenter Dr. Josh Liberman, Executive Director of Research, Development, and Dissemination at Sutter Health, a large health system in northern California, we explored the issue of advanced analytics for transitions in care in hospital environments, specifically 30-day readmissions (you can download a copy of our presentation here). Although 30-day readmissions is a widely analyzed use case – partly due to substantial penalties imposed by CMS – we looked at the problem slightly differently. We were less concerned about developing a predictive model (there are standardized frameworks such as the LACE index and Project Red that are available) and more about what impacts the widespread adoption of advanced analytics at the point of care. -- Can you operationalize the model at scale? -- Can you deliver it to the person when they need it? -- Will they use it? -- If they use it, do they know what to do with it? To set the context, a transition in care refers to the movement of a patient from one setting to another – an example would from the hospital to home or some ambulatory facility after a medical procedure. Transitions in care are critical because patients typically need to continue to receive care after they have left one setting for another. If they do not receive appropriate and timely care, this could result in readmissions, which is considered a failure at the health system level. Developing predictive models that can identify patients at risk of readmissions becomes critical in managing resource efficiencies as well as patient outcomes. This is where the operationalization of predictive models in clinical workflows becomes important. Many analytical solutions tend to be stand-alone systems today, and the insights from predictive models are not available real-time to providers at the point of care. In a health system such as Sutter Health with over 190,000 discharges every year, not only are the patient risk models required real-time at the point of care, they also need to use real-time data. Much has been written about the poor usability of EMR interfaces, and adding a new feature on interfaces already crowded with medical information can be a distraction for caregivers. Also, analytics may be required by multiple stakeholders – case manager, doctor, discharge coordinator, to name a few – and the challenge becomes a question of whether analytics can be delivered to the person who needs it and when they need it. This is a last mile problem, one that has significant implications on the quality of care in a hospital setting. The key to making analytics effective at the point of care is to make them invisible. In other words, show the doctors and patients what they need to see and when they need to see it and eliminate noise. In the readmissions example described above, this may mean risk-profiling patients with a scoring model that highlights the higher risk patients to doctors and care management professionals so that they can develop appropriate treatment and discharge plans for just those patients. All this means that user interfaces need to be improved to help caregivers receive the relevant information in an easy to consume format. Digital experience design thus becomes an important factor. At Sutter Health, Dr. Liberman and his team have done just that by radically simplifying the UI, eliminating manual tasks, and most importantly, eliminating the need to remember. Improved UX not just reduces medical errors brought about by cognitive overload from poorly designed interfaces, but also improves patient satisfaction with the process. At a time when patients and doctors alike complain about the loss of intimacy in doctor-patient interactions – mainly as a result of information technology overload – a well-designed user interface that simplifies advanced analytics and complex workflows and presents information in an easy-to-consume manner can greatly enhance productivity and care quality. Health systems can also enter risk-based contracts with a higher level of understanding of financial risks. Advanced technologies, such as Google Glass, are now poised to take this “last mile” interaction one step further. At Dignity Health, the fifth largest health system in the country and the largest hospital system in California, Dr. Davin Lundquist, VP and CMIO for physician integration, uses Google Glass as one of the tools to enhance the quality of the patient experience through technology. Using Google Glass to ascribe streaming audio and video to a remote scribe, clinicians at Dignity Health are saving 8-10 hours a week on electronic charting/documentation which leads to both increased productivity and more time interacting with patients. Dr. Lundquist, along with other healthcare leaders, is scheduled to discuss these experiences at The Future of Healthcare Symposium at Pepperdine University later this month. He likes to think of analytics as the intelligence behind what they want to do at the point of care and use tools, alerts, and decision support to make smarter decisions. Finally, as patients and consumers, many of us find healthcare to be too complex and navigating through it a huge challenge. 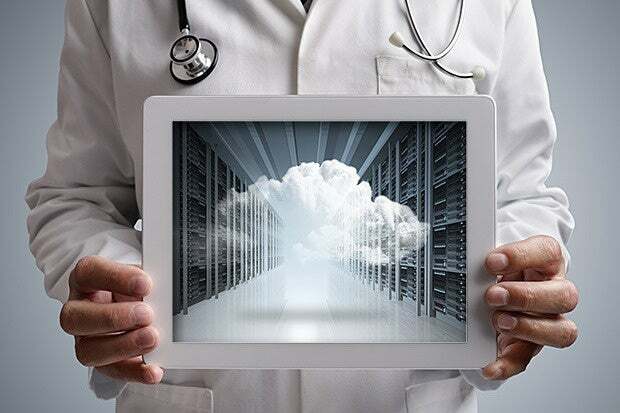 Enabling patients with better technology and giving them more control is an important aspect of the emerging relationship between health systems and their patients. Increasing consumerism also means that patients have to feel like they are partners in their health care. Technology and analytics at the last mile that is invisible and improves the quality of the physician-patient interaction may hold the key to the future of healthcare. The Sutter Health experience with advanced analytics and simplified UI, and the Dignity Health experience with the use of Google Glass in patient visits may be signs that we are heading in the right direction.